Oh, right. I have a blog! Apologies for not blogging sooner, but February turned out to be much busier than I expected going in — and I expected a lot. So let’s recap. I spent a good chunk of the month out in Los Angeles for my day job, which was pretty great. I had the family with me, and after the week was up, I took my daughter to Disneyland for a full day — and I mean a FULL day — of fun and excitement. Say what you will about the Disney industrial complex, but they sure know how to create a fantastic experience. It really was a memory she and I will keep forever. 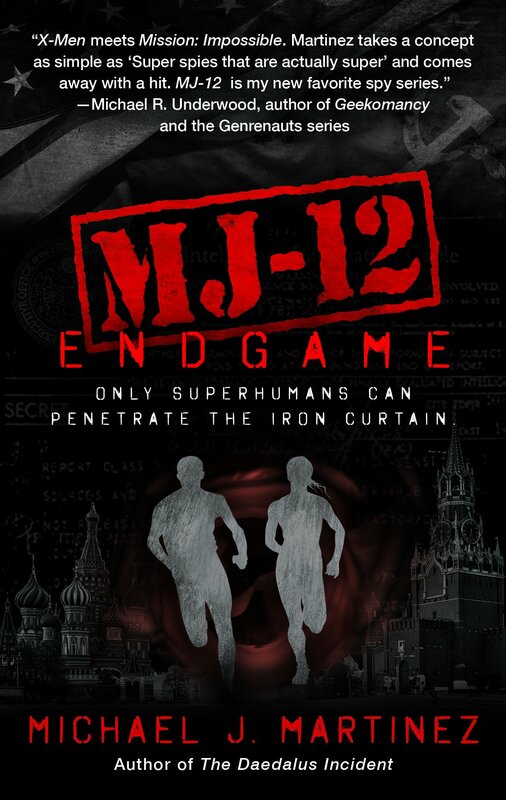 I also received and turned around my edits for MJ-12: Endgame, which is on track for its early September launch. My editor, the esteemed Cory Allyn, complimented how I handled the end, and I admit, I got some feels on reading how all the characters came out of it (or not, in a few cases). I’m really looking forward to seeing this one out there. And I’ll be celebrating the end of the MAJESTIC-12 series at DragonCon over Labor Day weekend! Got the official confirmation a few weeks ago — I’ll be there and paneling, largely on the Alternate History track as usual. I had to miss last year, so I’m really looking forward to seeing everyone there again. It’s a great con. And of course, I’ll have books and goodies with me, so come find me if you’re there. There’s also a few other projects in the works that I really want to talk about but shouldn’t. Suffice it to say, I’m not done writing novels just because I’ve wrapped up MAJESTIC-12. Nothing is sold yet — heck, nothing is fully drafted yet! But I’m working on it. I’m also doing another thing with an absolutely mind-blowing, fantastic bunch of people that I can’t tell you about, but it’s gonna be so good, you guys. March will continue to be busy, including trips back to Los Angeles and a few other things. I’ll try to be better about blogging, but I make no promises. In the meantime, you can follow me on Twitter or my “official” Facebook page for more regular updates. Josef Stalin is dead. In the aftermath, the Soviet Union is thrown into crisis, giving former secret police chief Laverentiy Beria exactly the opening he needs. Beria’s plan is to secretly place his country’s Variants―ordinary people mysteriously embued with strange, superhuman powers―into the very highest levels of leadership, where he can use them to stage a government coup and seize control of the USSR. 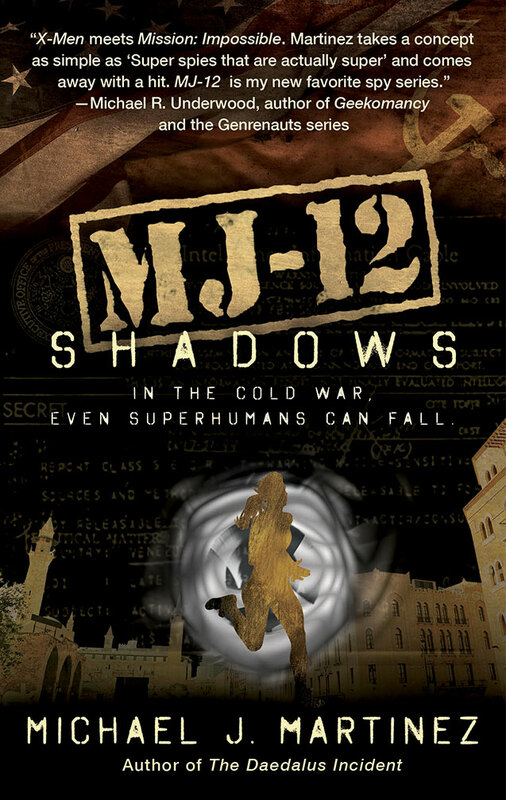 America’s response comes from its intelligence communities, including the American Variants recruited for the top-secret MAJESTIC-12 program, who are suddenly thrown into their most dangerous and important assignment yet. From the halls of the Kremlin to the battlefields of Korea, superpowered covert agents face off to determine the future of the planet―a future their very existence may ultimately threaten. Yes, we’ve fast-forwarded to 1953. It’s not that there isn’t great stories to tell between 1949 and 1953, of course, but rather this seemed like a natural way to close out this trilogy. (And yes, we’re closing it out. I mean, it’s called Endgame for a reason!) 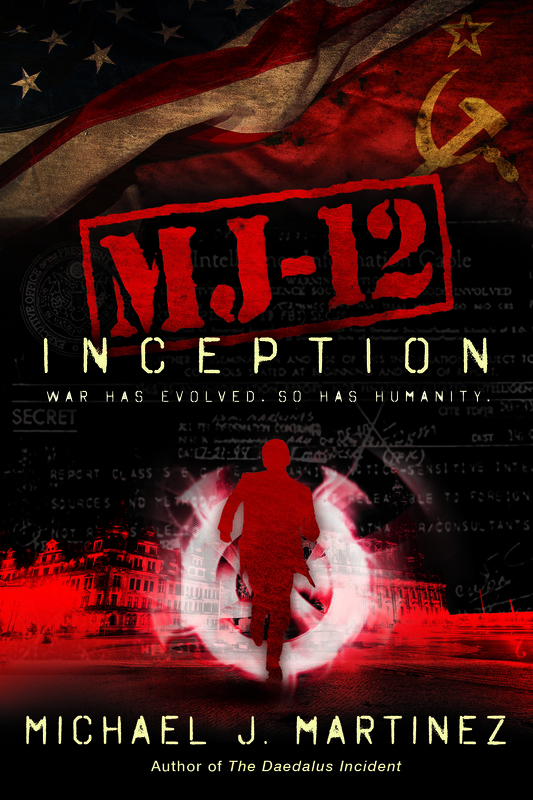 Of course, I never say never — there could be great stories ahead for MAJESTIC-12. But for now, I feel this is a good place to leave things be. As of right now, Endgame is in the capable hands of my editor, Cory Allyn, and while we don’t have a cover yet, I’m very certain it’ll continue along the same theme. So we’re pretty much on track for September, which is exciting. And now, here are your pre-order links, if you’re so inclined! (No links yet for Kobo or Google Play, but when I see ’em, I’ll post ’em.) As always, I encourage you to buy local and/or support independent bookstores whenever possible, because they’re awesome. And if you’re low on funds, put in a request at your local library, because libraries are awesome too. The Garden State Plaza is the mall in my area. It’s a gargantuan cathedral to retail excess, chock full of boutiques and anchor stores and really expensive crap most normal people could never afford. I mean, I’m not dropping a grand on a watch, y’all. Or a suit. Or anything, really. Since the Borders chain went out of business in late 2010, this massive mall didn’t have a bookstore. There are a couple Barnes & Nobles in the area, and a few indies, but not at this joint. At least, not until Amazon opened up a brick-and-mortar outlet a little while ago. Now, I most certainly urge folks to buy my books from local independent retailers, but let’s face it — Amazon is Amazon. They have something like half the print book market and two-thirds of the e-book market in their pocket. As an author, Amazon’s been good to me. So on a recent trip to said mall — I have a 13-year-old daughter, so the mall is a thing — we stopped in at Amazon Books, holiday gift card in hand. 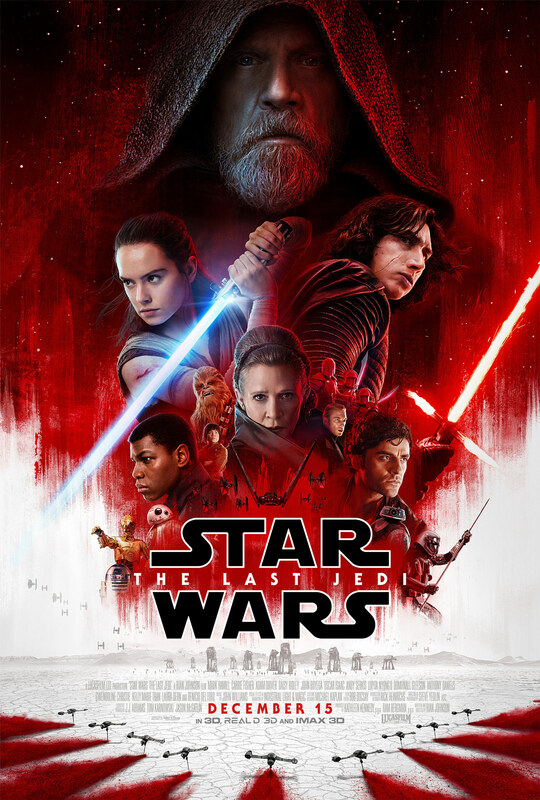 I walked out of Star Wars: The Last Jedi last night grinning ear to ear. It is a fun, epic film. It has so many nods to the characters we know and love. The visuals are stunning, the acting great, the humor is amazing and on point, and yet there’s tragedy as well. I think euphoric might be too strong a word, but it’s in the thesaurus neighborhood. Then I thought about writing this now-traditional review for the blog. And in the light of day, the flaws show — and in a way that they didn’t for The Force Awakens or Rogue One. I think these are flaws of ambition, because there is a lot going on in The Last Jedi, and Rian Johnson is trying to do things we haven’t seen before. When he succeeds, he does so amazingly well. When he falls short, it can be obvious and distracting.